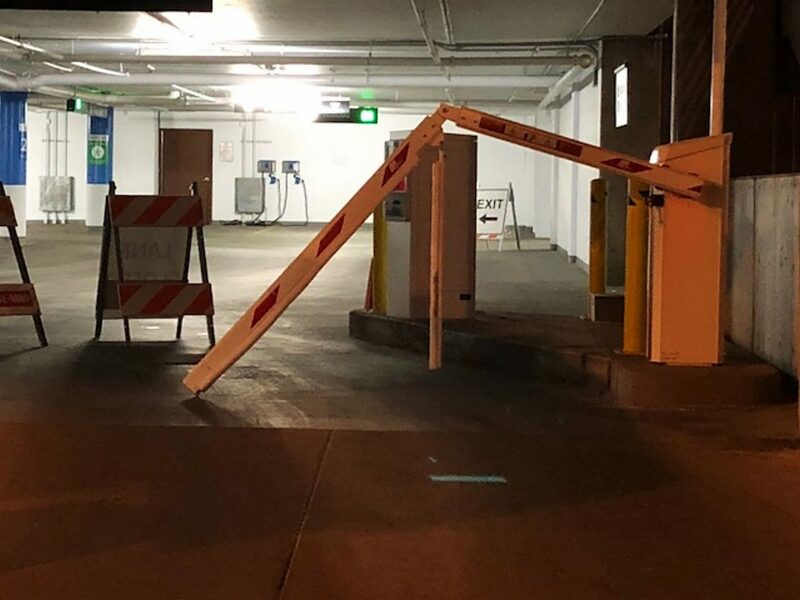 A parking gate arm at the China Bridge garage was damaged in the overnight hours of Feb. 1. The Park City Police Department has received a series of complaints about damage to the paid-parking infrastructure since an expanded system was introduced in December. Someone damaged the arm of a parking gate at the China Bridge during the overnight hours in early February, continuing a string of similar cases that have targeted the arms since City Hall introduced a revamped paid-parking system in mid-December. The Park City Police Department said an officer saw the damage while on patrol at 1:30 a.m. on Feb. 1. The arm of the parking gate was left hanging as a result of the incident. The damage occurred on the north side of the garage. Phil Kirk, a Police Department captain, said an officer on patrol drove by the parking gate less than 30 minutes before the damage was seen. The arm was not damaged at that point, Kirk said. The Police Department estimated the damage at approximately $1,000. Kirk said there no suspects. 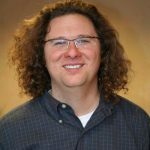 The case on Feb. 1 followed a series of similar incidents reported in December and early January. Approximately 10 cases involving damage of some sort were logged earlier. The gates were installed as part of an expanded paid-parking system instituted by City Hall in an attempt to ensure there are spots available for Main Street customers. Vehicles of employees accounted for an outsized percentage of the parked cars in the Main Street core prior to the start of the revamped system, Park City officials said, explaining that the employee vehicles made it more difficult for customers to find parking. Parking on Main Street has been paid since the 1990s, but parking had been free for years on Swede Alley and the China Bridge garage. Many employees parked in those locations. Free parking now remains on the fringes of the Main Street core, and City Hall provides a park-and-ride lot on Homestake Drive with a shuttle service serving Main Street.